Identity Crisis? No Thanks, We Don’t Really Need One. Leave a Comment on Identity Crisis? No Thanks, We Don’t Really Need One. A while ago, when the exams were still a Thing That Happened To Someone Else, I attended the Q&A session for the USC MC elections. Inevitably, when the best campaigning speeches I’d ever heard in USP (oh ho ho) were done, questions from the suddenly sentient floor were permitted and someone asked about the elephant in the room, its neck muscular from the gold chains around its neck and the skulls of its enemies. The question was, what were we going to do about RAG day, which seemed to be taking up a lot more money and effort than was worth it? More broadly speaking, on what initiatives should we spend more effort and money on and for what reasons? Sports? Inter-house activities? Giant sunglasses for the metaphorical elephant? A very wise senior (whose name, in my gratitude, I managed to completely forget) pointed out that there was no way we were going to be able to decide how we should spend our time, effort and funding unless we decided on our identity as a residential college. CAPT has its identity as a residential college centered around community service clearly established. Yale-NUS is clearly dedicated to the liberal arts. Tembusu wears green T-shirts . USP, on the other hand, doesn’t have an equally apparent goal or academic slant. What was our identity based on, then? Less than a decade old and we’d somehow already managed to develop an identity crisis. If what we’re concerned about is finding that something that determines what extracurricular activities we should or shouldn’t focus on as an residential college, then I think we’re asking the wrong question. Our identity as a community might not necessarily determine what initiatives we should favour, because the things that make a community distinct can easily say nothing about what it should work towards. Let’s say USP students have an almost frightening affinity for marshmallows. That could very easily distinguish us as a group from, say, the Tembusu-marzipan lovers , but what exactly would that tell us about how we should spend our time, effort and money? Using a less delicious example, the USP student population comes from various disciplines, but what does this tell us about how much money and effort we should spend on sports events as compared to community service, or whatever dyad of activities (thank you, QR) we’re concerned with? We have to decide USP’s purpose to make the process through which we favour or reject student initiatives much, much easier. Why does this program even exist to begin with? I feel deeply uncomfortable without any citations, so let’s consult the USP website. Let’s see… The overview page…inexplicably happy university students and giant letters…ah, there it is. 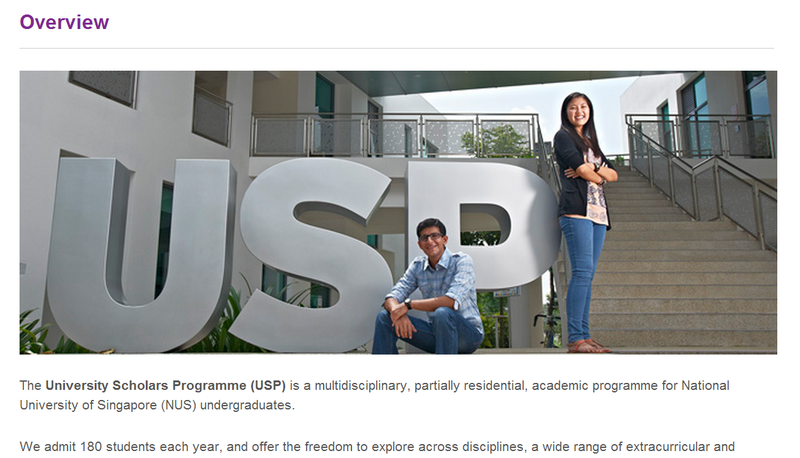 USP’s aim is to “produce graduates with intellectual rigour, initiative and innovative spirit to make significant contributions to society.” Man, that sounds pretty hard. What do we get to help us deal with that? Okay, so what I gathered from the overview section of the USP website is that we’re given access to more opportunities and resources than the average NUS student and in return, we’re obligated to give something back to society. If we went by this official definition of our purpose, which extracurricular activities we should support and pursue seems pretty clear cut. But wait! Don’t just take it from The Man. (Context. Context is important, guys.) Is there any other reason that we should conform to this objective, other than compliance to authority? Why shouldn’t we just be able to exercise our creativity and create whatever initiatives we think are, as the kids say, cool? Well, doing that would be just fine if USP’s existence didn’t depend on the contributions of people outside of USP. NUS being a public university, it’s not hard to imagine that taxpayers that don’t personally benefit from NUS expenditure have financially contributed to the construction of University Town and USP’s funds. Even if USP was entirely funded through USP students’ fee payments, the contributions of taxpayers are the only reason that we have a society that possesses the infrastructure and economic conditions that allow for USP’s existence. (“I gotta go guys, I have to catch the bi-daily D1 rickshaw.”) We wouldn’t have the roads that made UTown’s construction possible if it wasn’t for taxpayers’ contributions. So even if we do manage to personally pay back whoever is funding our education at the moment, be it our parents or a governmental/private organization, we still owe our ability to enjoy USP and UTown to society at large. So, alright, we do owe society something. But haven’t we worked hard to get to where we are? Haven’t we personally earned the reward of creating USP initiatives that we enjoy through our individual academic efforts? 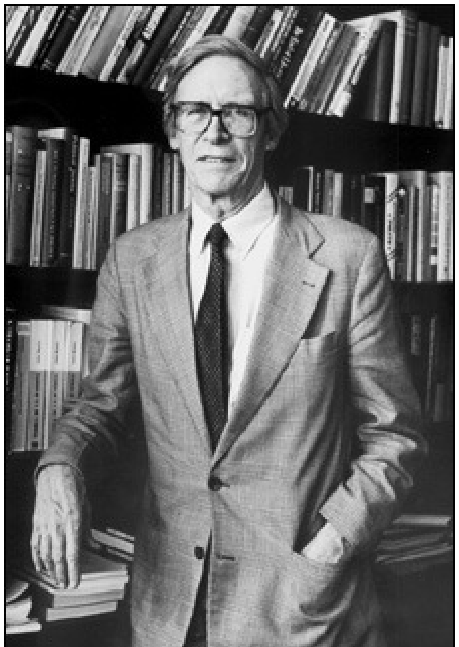 Sure, if John Rawls hadn’t gotten there first. The thing is, even taking our individual effort into account, where we’ve ended up in society today is at least partially due to chance. We were lucky enough to be born into this particular country and most of us were lucky enough to be born into families that, if they didn’t aid or encourage us in our efforts to learn, didn’t impede our learning so badly to the point where we couldn’t get into university. Most of us were lucky enough to be born into socioeconomic backgrounds that enabled us to be in USP today. That isn’t to say that our individual efforts count for nothing. There are definitely rich slackers with conditions so in their favour they probably bribed probability, but through sheer force of laziness only barely manage to get degrees. On the other hand, there are definitely people that manage to overcome socioeconomic conditions that make achieving academic success extremely difficult, but even in the case of the latter, chance still plays a role. Being born into a relatively poor family in Singapore might not have helped your chances at academic success compared to say, someone born into a middle-class Singaporean family, but you could have been born into a part of the world plagued by civil war where no amount of hard work on your part would ever earn you academic or financial success. In USP, we’re able to enjoy extra resources and opportunities because of contributions from society at large, individual effort and chance. Would it really be fair to use these benefits that we’ve only partially earned for activities that are mostly for our enjoyment alone? Could we sleep at night without large quantities of Milo and emotionally soothing techno? We probably could, but my point is that we ought to stay awake, then feel guilty, then order Ameen’s (that we’re ALSO only able to enjoy due to chance). What we need to do is use the opportunities and resources granted to us for the benefit of the society that sponsored us, in ways that only we could, or at least would be much less painful for us. That’s the only way we use these benefits in a way that’s fair to the people who indirectly granted them to us. This means that the fun-loving shenanigans we begin through USP need to be meaningful and valuable to non-USP students or even people who aren’t university students. Granted, the occasional exclusive community event that helps keep the USP community sane is fine (and probably necessary, because how much positive change can you bring to society from the foetal position?). But when thinking about holding events like these, we have to remember not to make them the main point of USP. Cause then we’d be a residential college of ungrateful jerks. So what sort of pinko commie USP student initiatives should we support? Let’s say that obtaining funding outside of the USP system for small, one-off events like whimsical musician wanna-be gatherings is a deeply traumatic process. What USP students could do is fulfill the desire of aspiring musicians in NUS, regardless of whether they’re in USP, by organizing and hosting said whimsical musical gatherings (WMGs for short) that are open to all NUS students. Then maybe, to bring something of value to people outside of NUS, bands formed as a result of these WMGs could perform for money or sell their compositions and give the proceeds to causes that participants agree are unambiguously beneficial to society (maybe something to do with Ameen’s). Or maybe the fact that USP gathers students from various disciplines into one community lets us notice things about the NUS community or the interactions between different disciplines as a whole that others can’t see due to their social division by faculty or discipline. We could be that guy in the classroom that always manages to one-up the teacher by pointing out a flaw in the syllabus. Sure, everyone rolls their eyes and imposes an unspoken restraining order on him, but now the teacher never gets to get away with that kind of shoddy explanation again and everyone goes home more well-informed, if slightly more sarcastic. There must be ways for us to be that guy without causing any of the aforementioned eye rolling. Once we uncover some of those ways, we can be more confident that we aren’t seen as some elitist NUS aristocracy with collars five times larger than everyone else’s. But more importantly, by fulfilling our obligations and purpose as an organization, we’ll end up developing an identity along the way. There won’t be a need to vote on our identity because in the process of carrying out these widely beneficial projects, we might find that we have a way of fulfilling tasks or viewing issues that’s unique to us. We might notice that we like to cut Gordian knots like people like to pop bubble wrap or that we tend to come up with hilarious organizational alternatives that somehow end up functioning better than the norm. Over time, our unique way of creating things of value and getting things done will become something that distinguishes us from others; they’ll become a part of our identity. There we go, two metaphorical birds killed with one metaphorical stone while the metaphorical elephant nods sagely in approval. But maybe you disagree with me about our purpose should be. Or maybe you disagree about how we should fulfill the purpose I’ve described. Well, don’t get angry at me. Be indignant at the “public sphere”. This is what we should be talking about within the community: Where should we be headed, on what basis do we decide that and how do we get there in the end? If we can think about this in the right way, then we can become a USP that does what it should, not just what it feels like at the moment. This is a gross misrepresentation of the Tembusu identity. 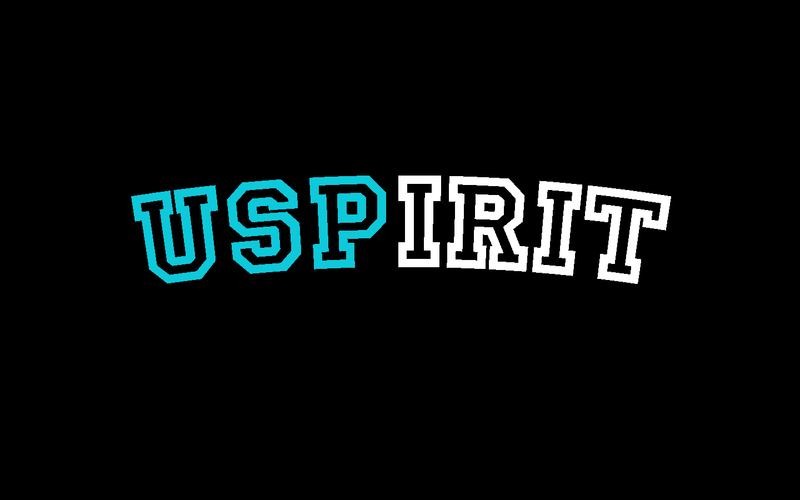 Their identity is centered around diversity of the student population and ideas and a culture of sharing said ideas. I have utmost respect for this ideal and green is a pretty cool color even if it isn’t black. Purely hypothetical. I find it unlikely that anyone would actually like marzipan.